Reprinted with permission from The Wildcrafted Cocktail (Storey Publishing, 2017). Blanch several batches nettles in a single pot of water, straining greens and saving water to cook the next batch. I do this for several reasons: it saves water, the cooking water is already hot (so it speeds up the blanching process), and it yields an extra-strong nettle tea, which makes for a lovely cordial. To make nettle cordial, strain pot liquor through cheesecloth or a very fine mesh strainer to catch all the bits and pieces of nettle leaf. For every quart of nettle pot liquor, add 1 tablespoon chopped fresh wild ginger rhizomes and 1/4 cup agave nectar. Bring liquid to a boil, then remove from heat and add lemon slices. Cover pot and let sit for 24 hours. The following day, strain off solids, bottle liquid and refrigerate. It will keep, chilled, for several weeks. Run nettle cordial through a soda siphon to carbonate. The sweetener in nettle cordial makes it unsuitable for carbonating in a SodaStream. 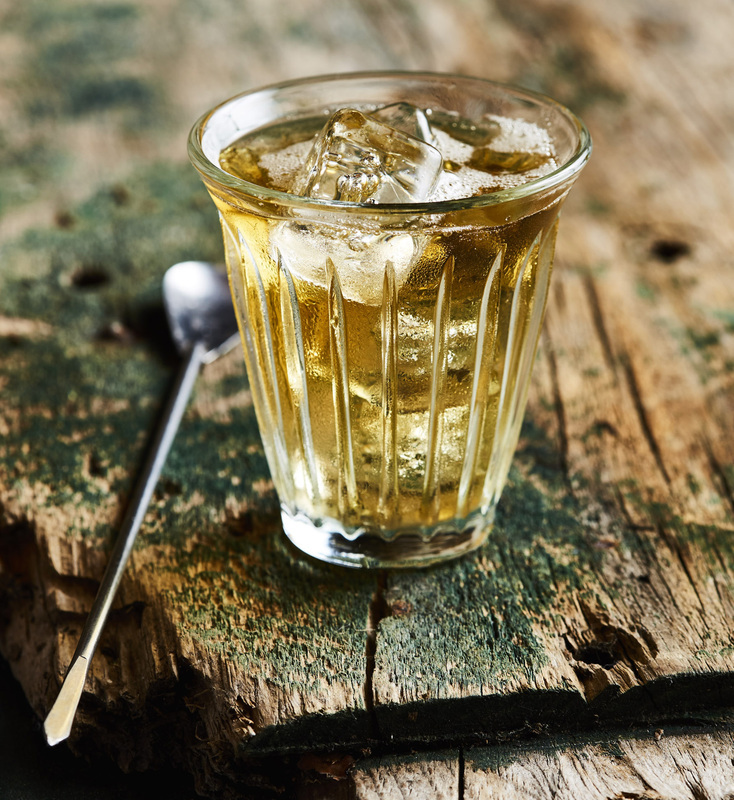 To make 1 serving of Stinger in the Rye, pour rye over ice in rocks glass. Top with Nettle Cordial Soda and serve.